Click THIS LINK to access the 2011 MHS Prom Viewing Page! Custom Prom Accessories & Jewelry…Now On Sale! Otis & James is happy to be offering custom prom accessories and jewelry from It’s Lovely Here. These one of a kind creations are the perfect way to complete your prom attire! If you like what you see, please stop by our studio during open hours and take a look at what we’ve got! Author otisPosted on March 16, 2011 March 16, 2011 Categories Otis & James NewsLeave a comment on Custom Prom Accessories & Jewelry…Now On Sale! As you may have already heard, on Sunday March 13th we will be having our sixth annual Senior Open House at our studio – but you may be asking yourself ‘why is this important?’ – and I’m here to give you some reasons why, as well as to explain a little bit about how it will work. The biggest reason why is that based upon how every other year has gone, we will book the majority of our prime session dates at this event. This is the first day our summer calendar will be open for booking Senior Portraits, and we book on a first com/first serve basis. As if that wasn’t enough, if you book your session in our studio you will be eligible for our prize drawing, details of which can be found at this link. It’s simple. Just get your self into our studio and book your session. It’s just a laid back affair – we’ll be there to answer your questions, and you are welcome to take a look around at our studio to see what exactly o&j is all about! Once you are ready to book, one of us will be able to help you find a time and get you in the calendar. Simple as that! 3)What if I can’t make it to the Open House? Let’s say you are still stuck somewhere far away from us and many icy roads separate us from you – well, you can call our studio at 701.838.6181 and if we have the ability to, we will answer your call. Here’s the deal, though; our first priority will be to those actually in our studio. If we are unable to answer your call, please leave a voicemail and as soon as we can we will return calls in the order they were received. If you are unable to attend or call, from the Open House on our calendars will be open for booking – but sessions are limited and they will go quickly! 4)What are the sessions you are offering? Good question! CLICK THIS GIANT LINK FOR ALL THE INFORMATION ABOUT OUR 2012 SESSIONS! 5)What’s this thing gonna cost? Ahh yes, the most important part, how much scratch are you going to have to dig out of your wallet for this. Well, here’s the story. In order to book your session – whichever session you choose – there will be a $100.00 non-refundable deposit that must be paid. We will not be able to put you in our calendar until that deposit is placed, no exceptions. The remainder of the balance will not be due until the time of the actual session. Alright my good people, you have the inside scoop. We hope to see all of you at the Open House tomorrow! We would love to meet you, and more important – we would be honored to be a part of your Senior Year! Yo. You’ve waited long enough. The 2011 Seniors are old news. Now is your time, my friend! 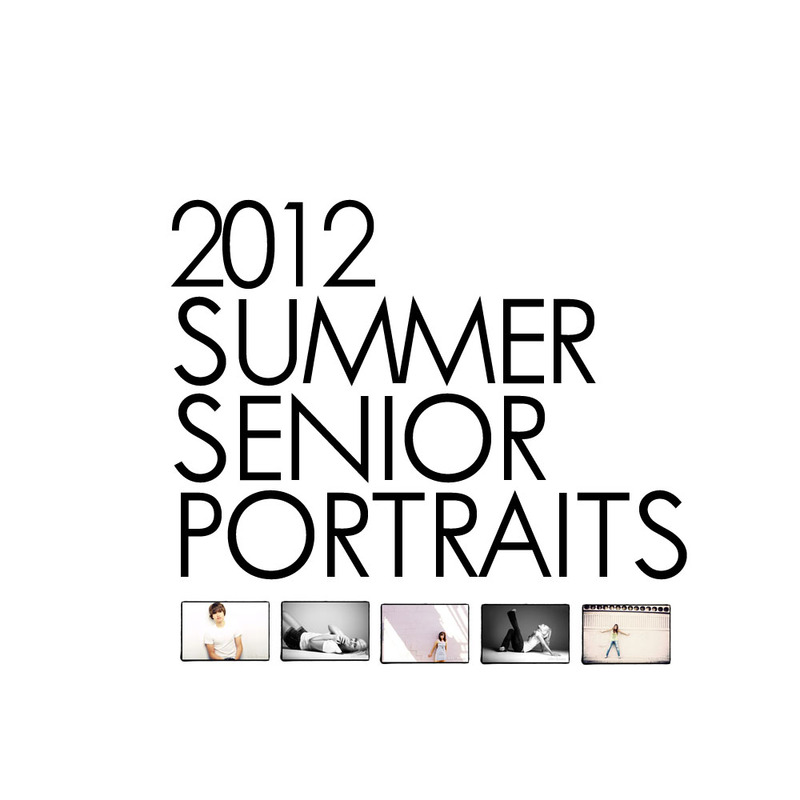 Now go, and CLICK THIS GIANT LINK so you can checketh-out all the goodness that is The 2012 Summer Senior Portrait Session!